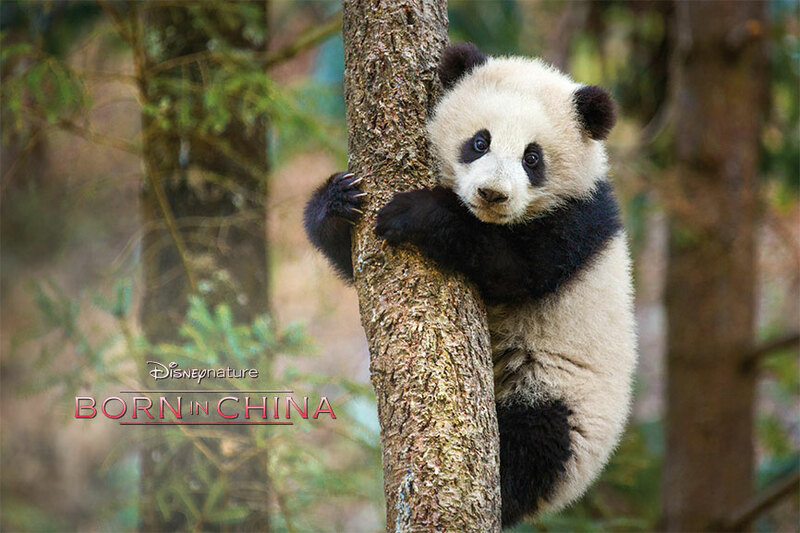 In this beautifully-shot and warmly-narrated DisneyNature film, four animal families adjust to life with their new cubs. Dawa, a snow leopard, hunts to feed her two young cubs. 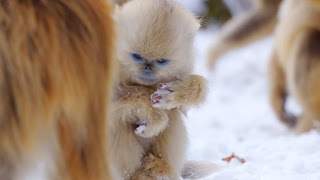 Tao Tao, a young golden snub-nosed monkey, has been displaced in his family by his new baby sister and tries to find belonging in a group of rejected males. 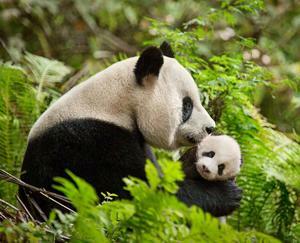 A giant female panda, Ya Ya, raises her newborn Mei Mei to independence. A herd of female chiru complete their annual migration to their birthing ground, and back to the land where the males live. In this film, we see the beauty – and danger – of nature. This is a film about birth, family connections, and mothers. One mother dies trying to get food for her cubs. Another mother struggles to let her daughter be independent. The narrator says that their love is deep, but a stronger force of nature is pulling them apart. 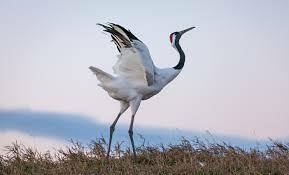 The narrator comments, “The joy of raising a child from birth is worth a thousand farewells.” Tao Tao gets less attention from his parents after his sister is born; he leaves his family unit for a while. When he tries to go back, his father rejects him. Only after Tao Tao saves his sister from a predator is he allowed back into the family. There are lots of reminders and depictions of familial – and especially maternal – love. For Dawa, “Keeping her kids safe is her life’s mission.” Dawa is content being with her cubs, and the narrator adds, “Nothing compares to being loved by the ones you love most.” Ya Ya and Mei Mei spend several months cuddled up together. When they come out of the den, Ya Ya nurses Mei Mei. 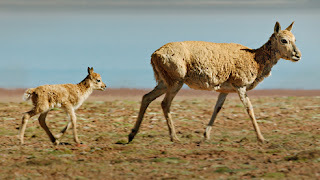 The narrator adds that Ya Ya “just wants to hold onto her baby and smother her with love.” The bond of family, established through scent between mother and baby, is very strong in the travelling chiru herd. When Tao Tao loses his place in his family, he finds a home for a time in a group of other males, called the “Lost Boys.” While it’s sad that he lost his place temporarily, he found community and belonging elsewhere. Dawa dies. The narrator perhaps softens this by explaining that in Chinese mythology, death is not the end, but is followed by a rebirth. Tao Tao is displaced by his baby sister. The narrator explains that Tao Tao is “no longer the darling of the family. The little bundle of joy has taken his place, [and he has had] all his comfort and affection suddenly stolen.” The narrator adds that this is “exactly the sort of thing that makes a monkey turn to mischief;” there’s wisdom in that. When kids act out, there’s often an emotional reason behind it. Behavior often makes sense from the perspective of the one doing it. Tao Tao eventually realizes that the Lost Boys are self-centered. The narrator gives words to Tao Tao’s dilemma, “Is there anyone in this crazy world you can actually depend on?” Some kids might relate. Nature is dangerous. Dawa captures and kills a baby sheep. A hawk captures and takes flight with a baby monkey. Neither scene is gruesome, but they could be scary or sad for the youngest viewers. The narrator keeps perspective, “In Dawa’s world, you must take life to give it.” The hawk is the only natural predator of the monkeys, and is “always on the lookout for abandoned babies.” A wolf tries unsuccessfully to separate babies from mothers in the chiru herd. Dawa is driven from her home by competing predators. 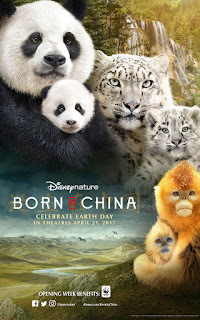 Born in China is a beautiful film. The shots that the filmmakers achieved are magnificent, and the footage they captured of the animal families are interesting, amusing, and remarkably candid – the animals seem to take no notice of the humans filming them. With the strong theme of birth and motherhood, I can imagine a couple different ways that the film might impact viewers who are touched by adoption. The film could cause some sadness. Kids might relate to Tao Tao’s feelings of not belonging, or of being displaced. When he is rejected by his father, it could touch on feelings that some kids have towards the thought being rejected by their parents – either fears of being rejected by adoptive parents, or feelings of having been rejected by their birth parents. He is eventually accepted back in, but only after he proves his worth. Ya Ya and Mei Mei will separate when Mei Mei reaches the age of independence. Both their impending separation, and the narrator’s comment that “the joy of raising a child from birth is worth a thousand goodbyes” are beautiful, if sad, depictions of parental love, but the “from birth” line could be a surprising trigger for birth parents who grieve the children they didn’t raise, adoptive parents who grieve the infertility that stopped them from giving birth, and for adopted people who feel sadness over the loss inherent in adoption. (SIGNIFICANT SPOILER) I can imagine young kids being very sad when Dawa dies. She injured herself on an earlier hunt, and so has had to switch to slower, but larger prey. She is gored by a mother yak defending her baby, and ultimately dies. We don’t know what happens to her cubs. This could elicit some tears from younger viewers. I could also see the film having a positive impact. The film highlights and steeps itself in the love of family, particularly the love that mothers have for their children. 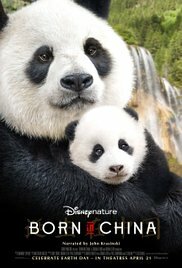 A film focused on baby animals is probably going to be very accessible for most kids, and parents can highlight the fact that, “As much as she loved her baby, I love you.” Parents can also use the story of Ya Ya and Mei Mei to talk about a child’s increasing independence, while reassuring the child that they will always be part of your life and your heart. The story of Tao Tao can be used to start a conversation where you assure a child that they’ll always have a place in your family. Born in China can be useful for families, but parents should watch it with their kids and be prepared to talk about the prevalent themes over ice cream after the movie. I’d recommend this one for kids ages 8 and up; younger kids would enjoy some of the footage of cubs, but might have too hard a time with Dawa’s death and some of the other themes. Which animals did you like the best? Mei Mei is grown up. 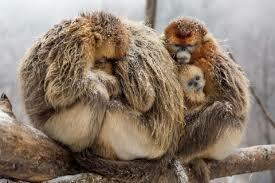 Do you think human moms and their kids still love each other after the kids grow up?